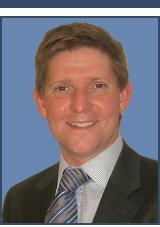 Dr Michael O'Sullivan is a Consultant Cardiologist in Cambridge with busy NHS practices at Addenbrooke's Hospital and Papworth Hospital. He runs his private practice from the Spire Cambridge Lea Hospital, the Cambridge Heart Clinic, the Nuffield Health Cambridge Hospital and Papworth Hospital. Following undergraduate training at Cambridge University, Dr O'Sullivan undertook postgraduate medical training at the Royal Brompton National Heart & Lung Hospital and the Oxford University Teaching Hospitals. 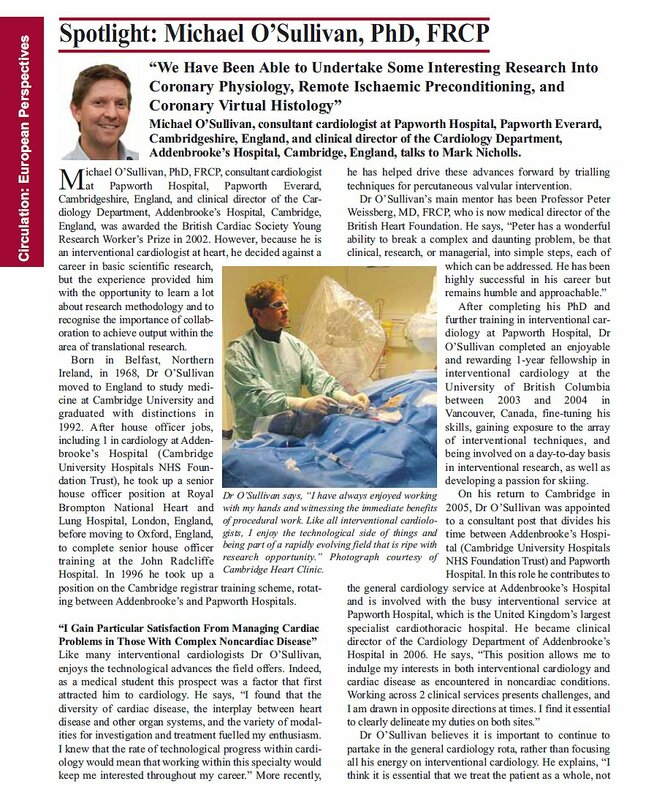 He returned to Cambridge in 1996 and over the next seven years trained in all aspects of cardiology, with particular emphasis on interventional cardiology (coronary angioplasty and stenting). During this period he was awarded a PhD, and the British Cardiac Society Young Research Worker's Prize, for research into mechanisms of coronary stent failure. From 2003-2004, he worked in the Department of Interventional Cardiology at University of British Columbia, Vancouver and gained extensive experience in advanced interventional techniques and new strategies for the treatment of coronary disease. Following his return he was appointed Consultant Cardiologist at Addenbrooke's and Papworth Hospitals. In this position he provides secondary and tertiary centre care to patients with general cardiac problems (valve disease, heart failure, heart rhythm problems), in addition to those with coronary disease. He was appointed Clinical Director of the Addenbrooke's Cardiology Department in 2006, and Clinical Director of the Cambridge Heart Clinic in 2008, and continued in these roles until 2014. Dr O'Sullivan maintains a keen research interest, with a particular focus on coronary physiology, novel techniques for treatment of coronary disease, and percutaneous techniques for treatment of valvular heart disease. Dr O'Sullivan holds private clinics at the Spire Cambridge Lea Hospital, Nuffield Health Cambridge Hospital, Papworth Hospital and the Cambridge Heart Clinic, and sees patients with all cardiac conditions. It is usually possible to carry out initial investigations (ECG, echocardiogram, exercise testing) at the time of initial consultation. For contact details, or to arrange an appointment, click here.